Fabricated as per IS: 10074, a Proctor Compaction Apparatus is used to check the density of compacted soil. Soil compaction is essential for constructing earth fill for dams, reservoirs, runways, canal embankments, highways and railways. The relationship between soil moisture content and compacted dry density largely determine the construction conditions. 100 mm dia. X 1000 cc volume mild steel mould with a base plate & collar and 2.6 kg x 310 mm controlled fall steel rammer. 150 mm dia. 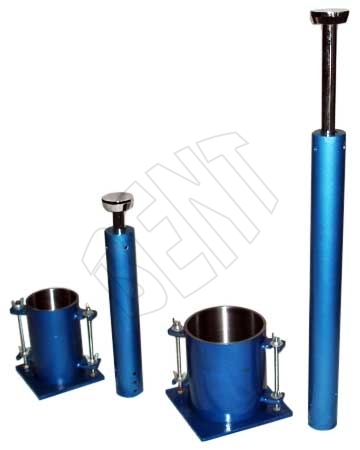 X 2250 cc volume mild steel mould with base plate & collar and 4.89 kg x 450 mm controlled fall steel rammer.